Found one file extension association related to MCEdit and 1 file format developed specifically for use with MCEdit. 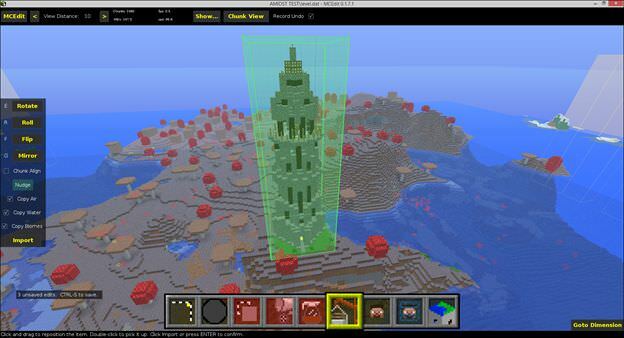 MCEdit is a saved game editor for Minecraft. Since Minecraft saved games contain every single element of the world the player is playing in, it has much more in common with 3D world, map, and terrain editors than traditional saved game editors. MCEdit has been developed since 2010 with the original goal of allowing Classic levels to be played in the full version of Minecraft, but has since evolved into a full featured editor and is currently undergoing a thorough rewrite for version 2.0. If you need more information please contact the developers of MCEdit, or check out their product website.